I have just returned from the UK after a quick trip to see friends and loved ones. I had some sneaky scheduled posts so hopefully you didn't notice too much, but I apologise for any slackness in replying to comments or posts. As I left, I found something very exciting in the duty free section at the airport: Valrhona chocolate. In the past few years as I have learnt more about food, baking and chocolate, I have heard a lot about Valrhona. After much deliberation, I bought three 70g bars. I chose Jivara, a delicious creamy milk chocolate which has an incredibly pronounced chocolate flavour despite such a small percentage of cacao (40%). I chose Taïnori, a 'fruity and intense' dark chocolate. 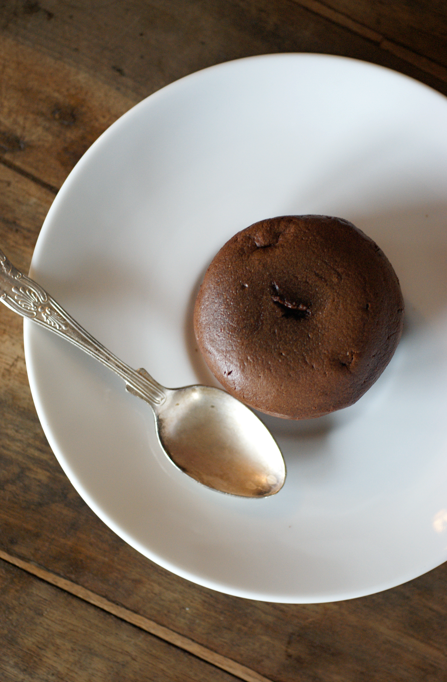 Finally I chose Alpaco, which is the bar I used for these fondants. It's described as combining "strength and sophistication, and offers delicate floral aromas of jasmine and orange blossom, intimately and intricately intertwined with deep cocoa notes". My kind of poetry. To showcase this fabulous chocolate, I knew I needed a simple recipe where the chocolate - and therefore the floral aromas and deep cocoa notes - could shine though. I contemplated mousse, petit pots, cakes and various other ideas. 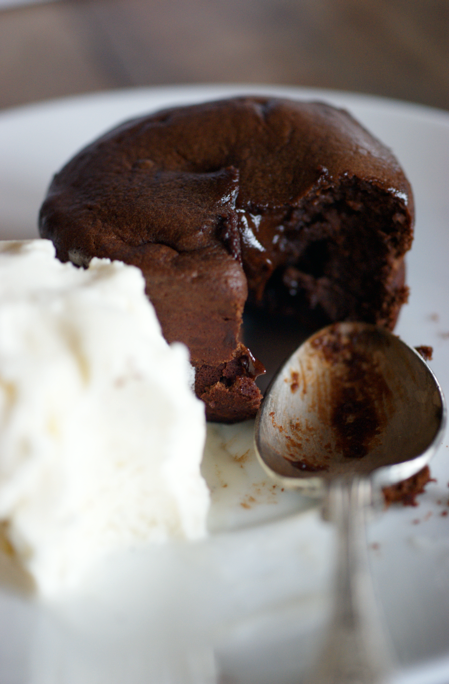 In the end I settled for a well-worn recipe for these chocolate fondants. They're perfect for entertaining - easy and quick to make in the first place and you can kept them in the fridge until just before you serve. They're also impressive and really very good. As we weren't actually entertaining and I only had 70g of this very precious chocolate, I scaled the recipe down to serve two. This involves silly measurements such as 8g of flour. Still, why shouldn't we serve lovely desserts everyday or just at dinner for two. It's easy to scale up if you need more - 4, 6, 8 etc would be fine. 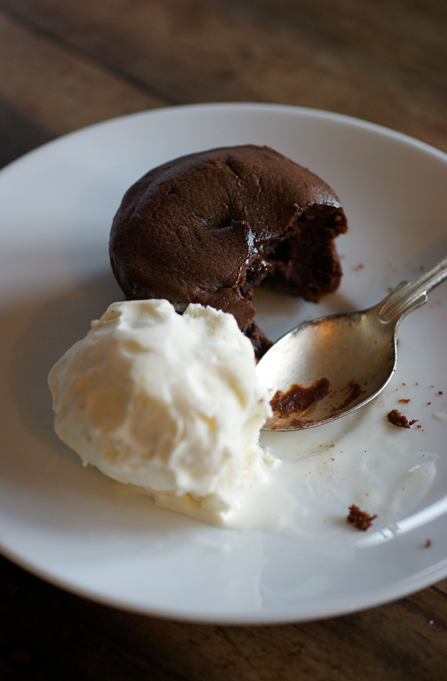 The quality of my precious chocolate really shone through in these - they were even more delicious than normal. I slightly overcooked the one in the pictures by a minute or two - I wasn't concentrating - but if you cook them for the right number of minutes they should have the perfect melted heart. I served mine with some more of this delightful vanilla ice cream. They make a perfect match, cuddled up on the plate. Preheat the oven to 180C if baking immediately. Grease two ramekins with butter and then evenly coat the insides with cocoa powder. 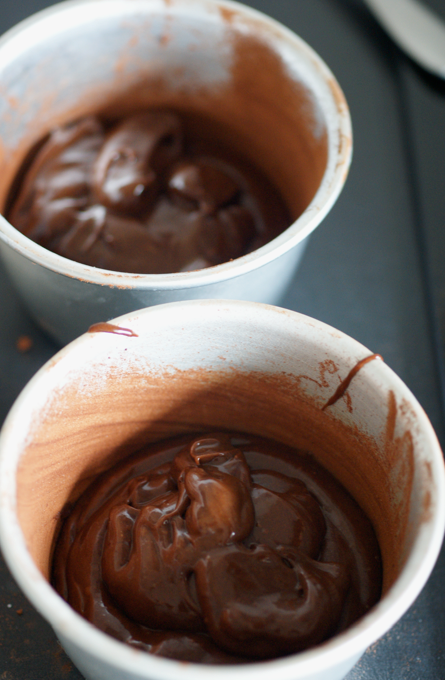 Melt the chocolate slowly in a bowl over a saucepan of simmering water then set aside to cool. In a food processor whizz up the butter, sugar, egg, flour and salt until you have a smooth batter. When the chocolate has cooled slightly, pour it into the processor and blend until smooth. Spoon into the prepared ramekins. At this point, you can cover the ramekins and keep them in fridge for a day or two (simply bake for 3 minutes longer). Bake in the oven for 9 minutes. Meanwhile, prepare plates and the ice cream. When you remove them, run a knife around the edge then turn out onto a plate. Serve hot. I adore Valrhona chocolate. 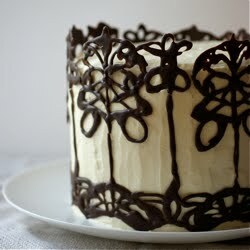 Their Ivory is so rich and creamy and it makes the best white chocolate truffles! Lucky you finding some of the other bars at the airport. The little melting puds look delish. They look divine. I've never really tried Valrhona before, but I'm definitely goign to buy some the next time I see them. I love the name -it sounds and looks as good as the pudding! 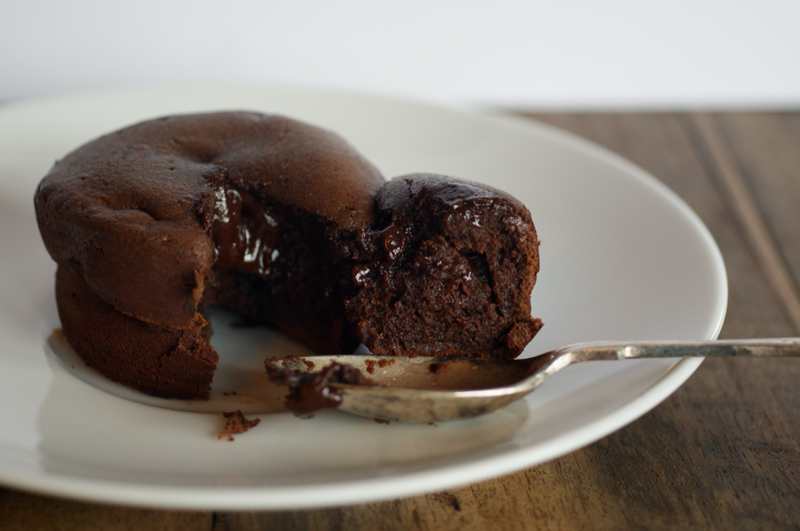 these chocolate fondants look perfect! have yet to get my hands on valrhona chocolate and after reading this post, I'm going to make sure I get some to try this recipe out! 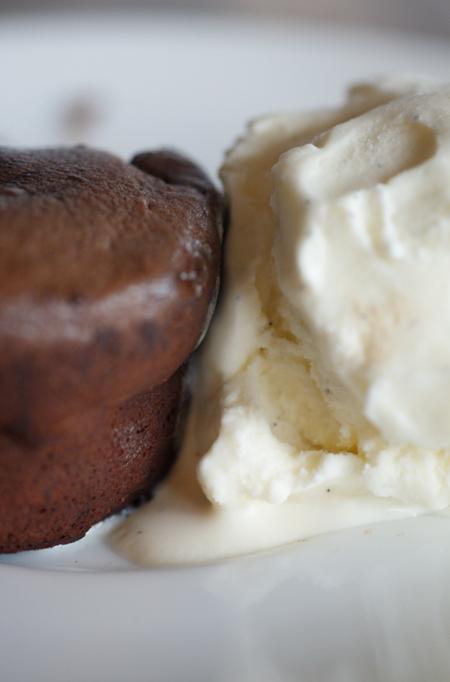 Lovely fondants! I've never had the chance to try and Valrhona, but you've made me want to even more! Once you've tried a superior chocolate you just can't go back and a simple recipe like this is the perfect place to showcase it. Yummy! I use Valrhona dutch-processed cocoa powder when baking, but I usually use Callebaut chocolate because it seems to do well in blind taste studies. this makes my heart melt! my fiance and i always fight over the warm delicious center in those little cakes!